1959 Pontiac Photo Picture Classic Cars for sale & Classifieds - Buy Sell Classic Car & Classic Truck Classifieds. 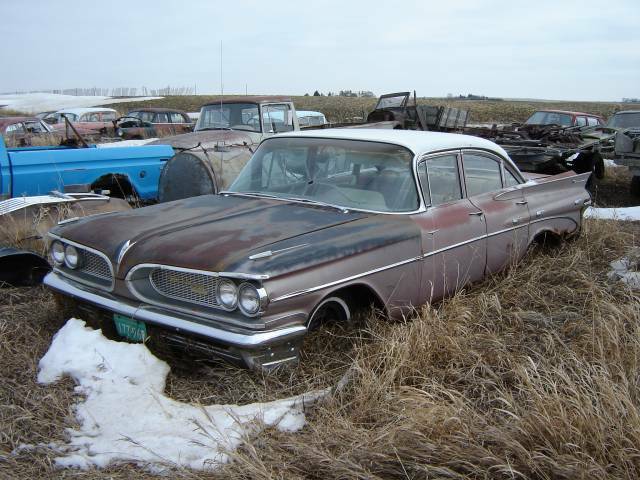 Check out this 1959 Pontiac thats been left to rust away! I have a 65 Catalina in the works, but i would love to find one of these older ones this fine. That one looks pretty solid.